Go beyond the screen and jump into the action! Universal Studios Singapore is Southeast Asia's only. 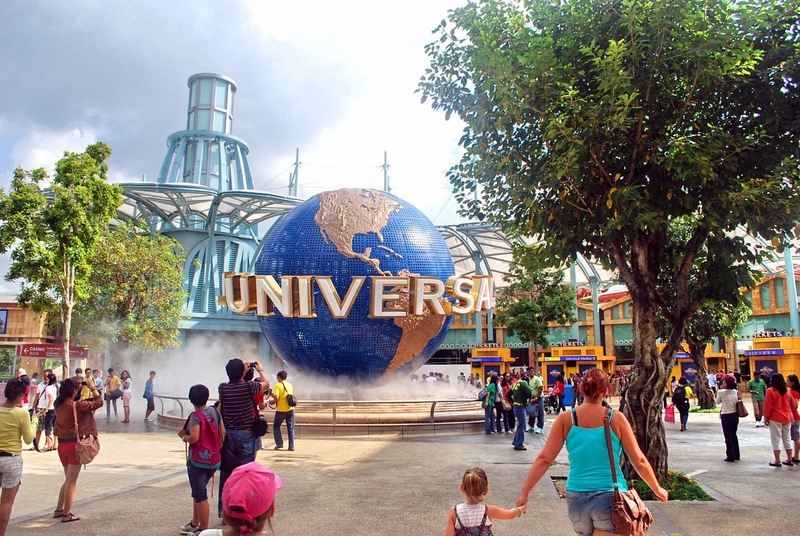 Universal Studios theme park, with 18 of its 24 attractions designed just for Singapore. Hop on the state of the art rides such as Madagascar: A Crate Adventure, Shrek 4-D Adventure, Revenge of The Mummy, and Jurassic Park: Rapids Adventure. Enter a new dimension in the world's first 3D battle - TRANSFORMERS: The Ride. Get into the newly created Autobot EVAC and zip through subway tunnels, city streets, and across rooftops, with the Decepticons hot on you heels. Hyper-realistic 3D Media and sophisticated visual effects make this a ride you simply must experiences. Scream your hearts out on Battlestar Galactica as you zoom, loop on the world's tallest dueling coaster ride. Go on an unforgettable mission to the stars with Elmo and Super Grover 2.0 on the all new family ride, Sesame Street Spaghetti Space Chase. Head over to New York Street and catch the all-singing, all-dancing Sesame Street Stage Shows and book a scrumptious Sesame Street Character Breakfast!